New Norwegian Movie “Ragnarok” Gives Indiana Jones a Run for His Money?! Check out this awesome looking trailer for the upcoming Norwegian adventure flick Ragnarok! This one looks like a ton of fun and has that old Amblin style Goonies type adventure thing going on. I wish there were more movies these days that could pull off this style of film. So far this one seems like it hits on all cylinders and has been described as an adventure that “Indiana Jones in his prime could never quite achieve” by Twitch Film. There’s no release date yet here in the USA but Magnolia pictures recently acquired the right so we shouldn’t have to wait to long. 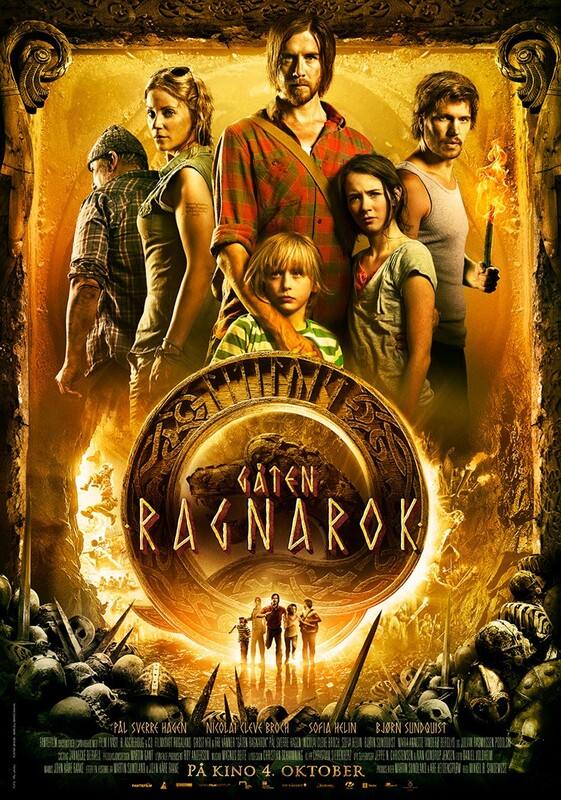 The plot sound like a great time too: ‘When the archaeologist Sigurd can’t settle on the myth about Ragnarok, the end of the world in Northern mythology, he decides to go on an expedition together with two colleges and his two kids. This adventure leads them to Finnmark in the Northern most part of Norway, and into “No mans land” between Russia and Norway, where no one has been in modern times. Old runes gets new meanings, when they unveil the truth. A truth bigger and more spectacular than you would have dreamed.” Be on the lookout for this one!